Beautiful facility and the staff is fantastic! Very helpful and they work hard to make sure people are checked in quickly and efficiently. We'll be back! Could use a few more amenities. No showers, no grills. On the plus side, staff are extremely helpful, and the casino is right there with numerous restaurants. Great location for the fireworks for July 4. The team here always happy to help you dock, tie and hook up. In our inaugural season, we have made it our mission to set the bar high as the premiere destination along the Mohawk River. Below you will find detailed information regarding your arrival, check-in process, amenities, and some recommendations on our favorite things to do in Schenectady and the Capital Region during your stay. Located between Locks 7 and 8 on the Mohawk River, Mohawk Harbor is sure to be one of your favorite stops on your voyage. With a talented crew, state-of-the-art docks, several delicious dining options, and the first privately owned Casino in New York, there’s no doubt you will have a blast during your stay with us! Mohawk Harbor Marina has slips and linear dockage reserved for overnight transient guests. Slips can accommodate vessels up to 35’ LOA and linear dockage is available for vessels up to 65’ (larger vessels, contact marina for availability). Reservations can be made online at www.TheMohawkHarbor.com under the Marina tab, or directly on the Dockwa dock reservation app (available in IOS and Android). Arriving vessels should contact the marina with an estimated time of arrival and hail the dock attendant on VHF channel 13 prior to entering the harbor for slip assignment. 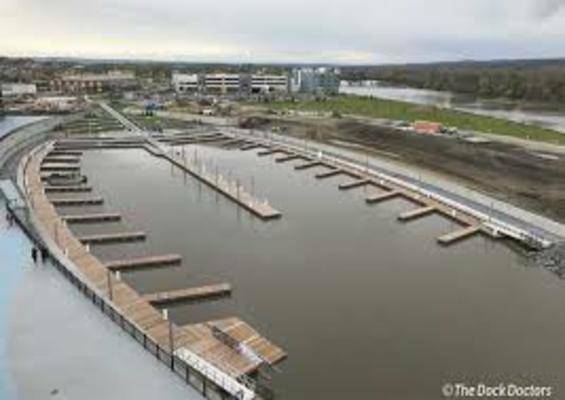 Short-term daily dockage is available for guests of Rivers Casino and Resort, Druthers, and other retail establishments on the property. All visiting vessels must notify the dock attendant prior to entering the harbor by hailing the marina on VHF channel 13 for slip assignment. Upon arrival, all vessels must be registered with the dock attendant. Frequent Dock & Dine boaters are encouraged to pre-register their vessel the first time through the Dockwa dock reservation app (available in IOS and Android) for faster service upon arrival. Two-hour complimentary dockage is available for Dock & Dine guests. Additional hours will be charged at $5.00/hour. Vessels remaining in the harbor after hours will be subject to overnight transient rates. Please note there is no complimentary Dock & Dine available on Saturdays during Harbor Jam Concert series, 4th of July, and other Amphitheater and Casino events. Overnight transient and event dockage is available during Harbor Jam Concert Series, 4th of July, and other Amphitheater and Casino events. Priority is given to overnight transient guests during events, with short-term dockage based on availability. All vessels must notify the dock attendant prior to entering the harbor by hailing the marina on VHF channel 13 for slip assignment. Boaters attending events are encouraged to pre-register their vessel the first time through the Dockwa dock reservation app (available in IOS and Android) for faster service upon arrival. Several more retail and restaurants! 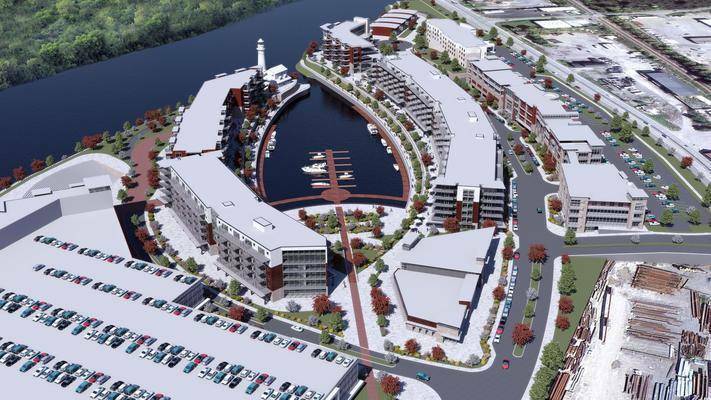 We are committed to making Mohawk Harbor a first-choice marina when traveling through the New York State Locks. If you have any comments, questions, or concerns please do not hesitate to reach out to us on this email or by phone at 518-949-0220.